Next month's Show Jumping and Dressage World Cup Finals at the international Indoor Brabant event in the Netherlands will have nearly $US1.5 million (€1,138,025) up for grabs, with €67,850 on offer for the overall winner of the Rolex FEI World Cup Jumping Final. The combinations competing in the Reem Acra FEI World Cup Dressage Final have €250,000 to divide, with €56,000 to the winner of the Freestyle. € The CDI4* competions have €23,000 euros on offer. 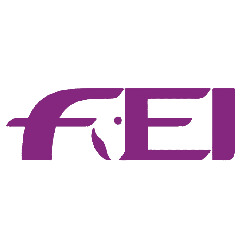 With 23 entries confirmed there are still 22 still to declaire their participation to the FEI. Robert Smith from Shrewley, Warwickshire finished in fourth place in the FEI World Cup Qualifier at CSI-W Stuttgart (GER). One of the biggest and most exciting horse shows in the World, Zurich, hosted the 9th round of the 2011 Western European League FEI World Cup Qualifier last weekend. Germanys Marcus Ehning riding Noltes Kuchengirl made it five in a row for Germany at the show, by thrilling the crowd in the jump-off and just beating the talented young British rider Ben Maher on Robin Hood W.
Carl Curtis riding the stallion Rafiki II finished 2nd to Jo Clee and Unbelievable Darco in Fohunter Championship at the horse of the year show. Last Friday the Warmblood Studbook of Ireland inspected and approved, subject to DNA verification of parentage, the 4-year-old KWPN mare Iraklion PP as a mare with potential to become a successful international showjumper that will produce international showjumpers. This bay mare is owned by Jerry Sweetnam and is ridden by Seamus Hayes.